In 1824, Andrew Jackson and John Quincy Adams were both members of the same political party. But in every other election with a discrepancy between the electoral and popular votes, the losing candidate has been the Democrat. Odd coincidence? Or is the Electoral College biased against the Democratic Party? It’s a funny thing to say, of course. Republicans have spent years bemoaning the huge lead that Democrats have enjoyed in the Electoral College. The so-called “blue wall” was thought to be impenetrable, apparently giving Democrats an advantage before voting even started. Pundits claimed that Democrats would begin 2016 with a head start of at least 217 electoral votes—and perhaps as many as 249. Another political scientist made a similar prediction in 2014. Benjamin Highton, a professor at the University of California, Davis claimed that the Democratic tilt in the Electoral College was so heavy that a Republican would be unlikely to win the 2016 election unless that Republican first won the national popular vote by at least 1 or 2 percentage points. The actual results flipped this expectation on its head: Donald Trump won the electoral vote fairly easily, even as Clinton won the nationwide popular tally by more than 2 percentage points. Such results naturally resurrect the question: Is the Electoral College biased against Democrats? Or did Democrats simply blow their lead by taking voters for granted? If Democrats did indeed blow their lead, then they were merely repeating a mistake that the Republican Party made in the 1990s. After the Reagan years, it was said that Republicans had a “lock” on the Electoral College. At least 21 states, including California, were consistently voting Republican. How could Democrats hope to compete? Bill Clinton soon found a way, of course. He turned California and eight other states blue for the first time since 1964. Other presidents have accomplished similar feats. In 1952, Republican Dwight D. Eisenhower won 16 states that hadn’t voted Republican since 1928 and two others that hadn’t voted Republican since 1924. Democratic President Franklin Delano Roosevelt, of course, demolished a North-South divide that had persisted, for the most part, since the Civil War. In 1936, he won every state except Maine and Vermont. The reality is that any “bias” in the Electoral College does not consistently favor or disfavor either of the political parties. To the degree that there are biases, they are short-lived. States change their allegiances fairly consistently. Party allegiance is like a pendulum, slowly swinging back and forth, first appearing to favor the one party, and then appearing to favor the other. The tension in the system reflects the constant, healthy competition between the two parties: Each is always trying to outperform the other by capturing the large bloc of voters in the middle of American politics. A careful study of history reveals that the Electoral College is neither pro-Democrat nor pro-Republican. It simply rewards the candidate who appears to be listening to the greatest cross-section of people at any given time. 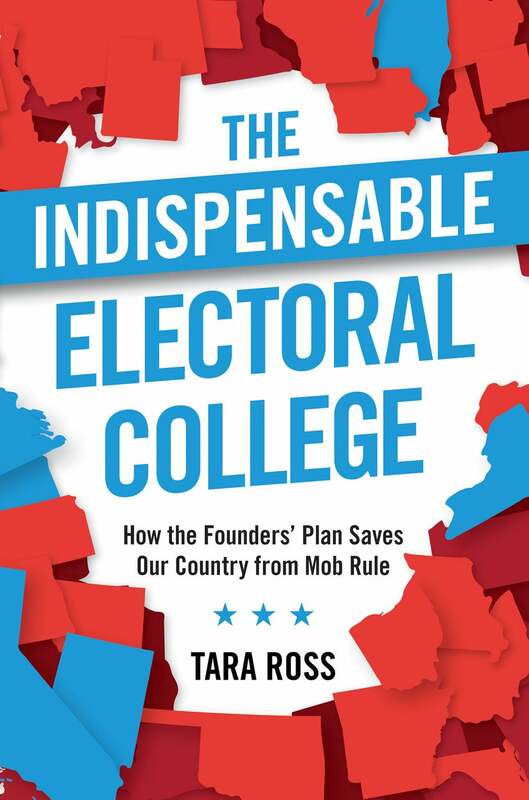 This excerpt was taken with permission from Tara Ross’ book, “The Indispensable Electoral College: How the Founders’ Plan Saves Our Country from Mob Rule” (Regnery Gateway, 2017).